For many people, hypnosis conjures up thoughts of trances, trickery, and losing one’s free will to some mysterious Svengali-like figure. Although perhaps vaguely known for its use to curb undesirable habits such as smoking, there’s too little awareness of hypnosis as a well-researched and wide-ranging treatment option. Dr. Scott Lewis sets to free this valuable and versatile medical therapy from the taint of carnival charlatans, challenging common links with cultish mind control and sinister coercion. As Lewis points out, hypnosis is a treatment option often overlooked due to ignorance, unfamiliarity, or even fear. First, he seeks to clarify for the layperson what happens during a hypnotic procedure. Interestingly, there is nothing zombie-like about the hypnotic state; it is far more akin to the sort of focused attention one experiences while absorbed in a good book. In fact, during our everyday lives, we immerse ourselves in such states of concentration several times a day. Once in this receptive condition, the process of retraining and reshaping reactions through a series of suggestions and affirmations can begin. Control is not sacrificed to the hypnotist, and the sessions could perhaps best be described as guided collaborations. Lewis outlines fifty years of evidence that hypnosis is a legitimate, scientifically proven wellness tool commonly used by reputable medical professionals throughout the world. Not only is there solid evidence that it works, it seems there may be substantial advantages over other, more conventional treatments. The relative benefits include: less stress and anxiety, less need for medication, faster healing, and the possibility of financial savings—especially intriguing in this age of rocketing medical costs. Lewis includes a useful practical advice section, featuring information on finding a good hypnotist, as well as a bonus self-hypnosis program. Hypnosis can be especially helpful because of its demonstrated ability to suppress the parts of the brain that interpret pain signals and attach meaning to them. Studies show that hypnotic suggestions can change allergic and inflammatory reactions, eliminate warts, control seizures, reduce inflammation and pain from burns, help asthma patients cut back on—or eliminate the need for—inhalers and enable hemophiliacs to control excessive bleeding. What’s more, this is a procedure with an impressive pedigree, dating back to ancient Egypt and Greece. Hypnosis may also be able to reduce and control the flashback and panic symptoms associated with PTSD by promoting relaxation, reducing physical pain and stress, and helping people reframe their experiences and outlooks so they are more receptive to positive change and less entrapped by the negative memories. In addition, it can remove impediments to success in everyday living, including test and performance anxiety, and fear of public speaking and flying. 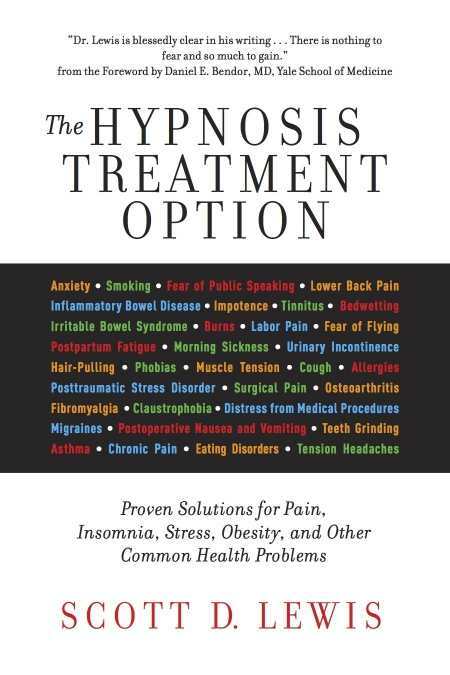 With its widespread applications and low costs and risks, hypnosis deserves to be high on the list of medical options.